Dr. Beste Isleyen is an Assistant Professor at the Department of Political Science at the University of Amsterdam. Previously she was postdoctoral researcher in the ‘Europe and the World’ theme of ACCESS EUROPE at the University of Amsterdam (2014-2015). At ACCESS EUROPE, she worked on European Union security policies towards the Southern Mediterranean. She received her PhD in Political Science from the University of Tübingen (2014) with a scholarship by the Friedrich-Ebert Foundation. Her PhD research focussed on European Union engagement with the Israeli-Palestinian peace process. As a PhD student at the University of Tübingen, she taught undergraduate and graduate courses on European Union foreign relations and peace and conflict studies. Her research interests lie in international relations, critical security studies and political sociology. 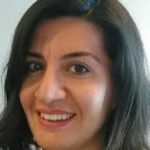 Her current research on migration and border governance in Turkey is funded by a VENI grant by the Dutch Science Foundation (NWO). TRANSIT examines Turkey’s governance of migration and borders. It focusses on everyday practices of what is called ‘transit’ migration in Turkey. In the context of its membership negotiations with the EU, Turkey has made a number of legal and administrative changes to ‘Europeanise’ its border and migration policies. TRANSIT explores to what extent such changes are reflected in the daily practices of migration and border governance by Turkish security and political professionals. The research also looks at the daily interaction between Turkish officials and migrants and asks how such interaction affects migrants’ decisions. İşleyen, B. (2017). The External Dimension of European Union Counter-Terrorism Discourse: Good Governance, the Arab “Spring” and the “Foreign Fighters”. Uluslararasi Iliskiler/Journal of International Relations, 14(55), 59-74. İsleyen, B. (2008). The Role of the European Union in the Middle East Peace Process: A Civilian Power? Stuttgart: Ibidem Verlag.